Start spreading the news. Your can leave today to start your chartered bus tour of New York City! To make sure that you get the most out of your visit to The Big Apple, we’ve compiled a list of must-see locations for you. Make sure to plan in advance, and get your tours booked, as well as your transportation. 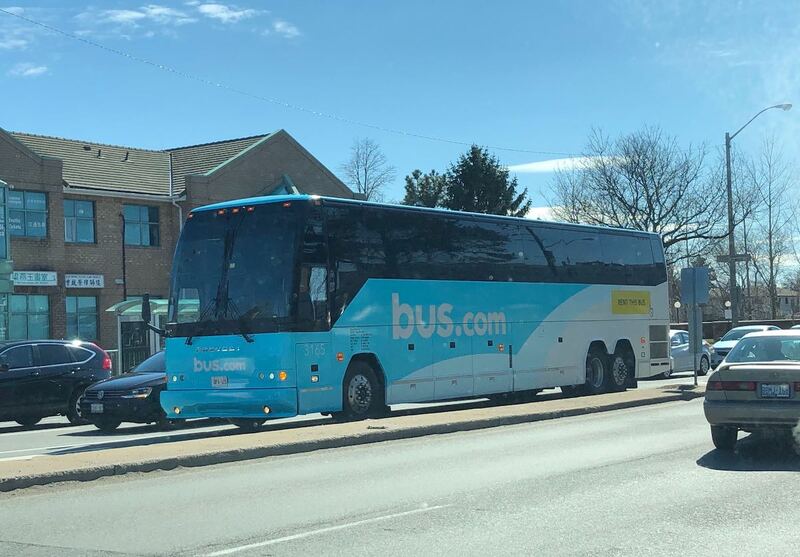 You’ll do better on a chartered bus than any other form of transportation in the city, so make sure to book yours today. When you’re all set, you’ll be able to get the most out of the city that never sleeps. 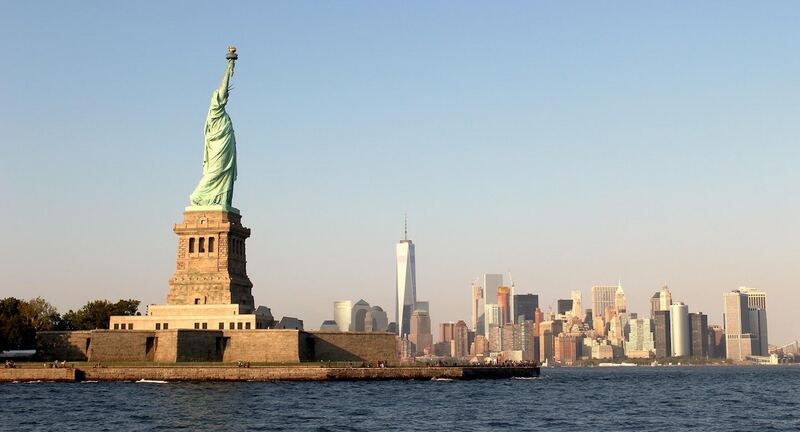 Take a look at our list of iconic and entertaining NYC destinations. You can’t see NYC without spending time at at least one, but hopefully all, of these destinations. 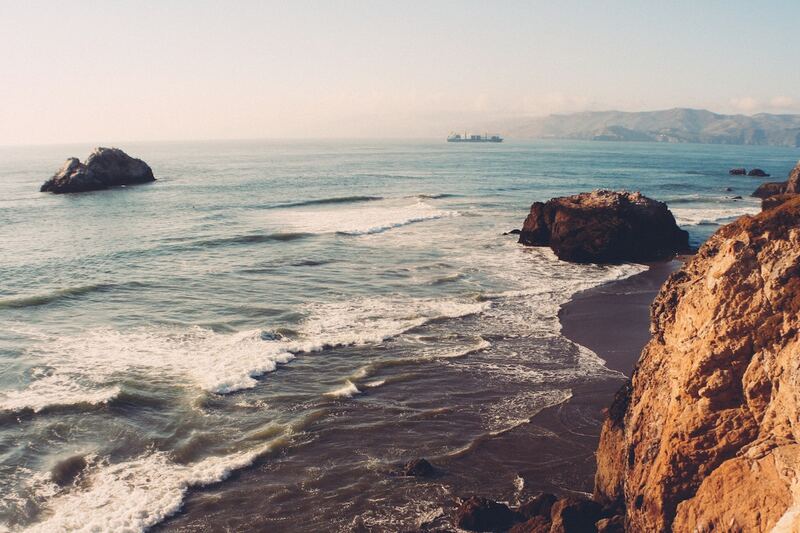 Take a look at our absolute, don’t miss, must-see locations. 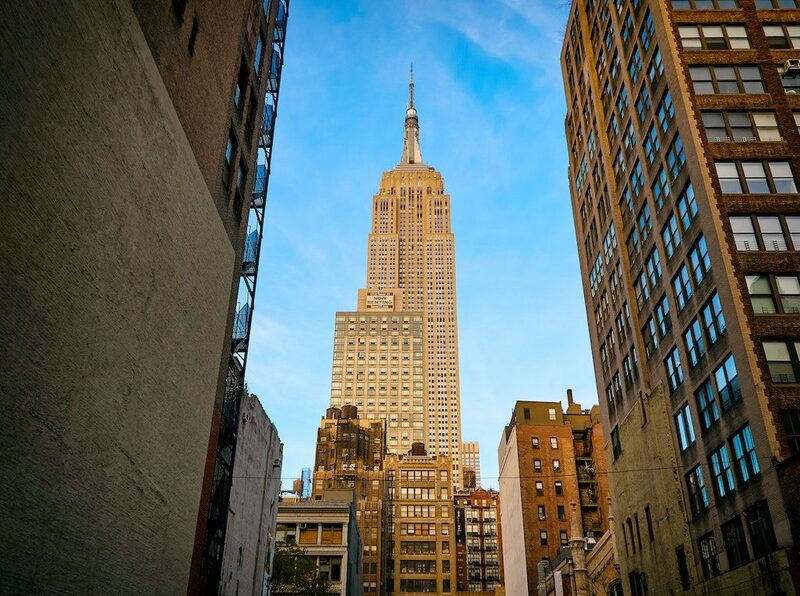 On 5th Avenue between 33rd and 34th streets sits the world-famous Empire State Building, where it has been since 1931. It’s one ofr the Seven Wonders of the Modern World, and was once climbed by an ambitious, if not slightly oversized (and fictional) ape, known as King Kong. And it’s as iconic a NYC landmark as the Statue of Liberty. What you may not know about the building is that it took just two years to complete construction — an amazing feat! Unfortunately, due to the Great Depression, the building remained largely empty for many years. In order to make up some of the money they were missing from rent, the owners launched a massive, widespread marketing campaign to attract tourists to the observation deck, which resulted in an additional $2M in revenue in the first year alone. It remains a popular tourist location to this day, and a great spot to take your group to in a chartered tour bus, due to the traffic in midtown Manhattan, which is as infamous as the Empire State Building is famous! As the song suggests, the neon lights are bright on Broadway. Well, most likely they’re LED lights today, but the sentiment remains the same. Get your group together, get them on a bus, and head on down to historic Broadway to see the lights, the sights, and sounds of Broadway! 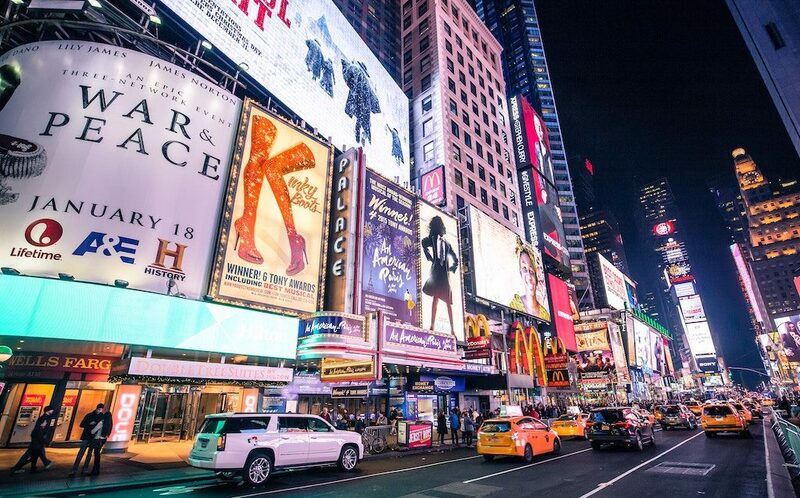 Broadway runs through the theater district of Manhattan, and is home to the Imperial Theatre, the Booth Theatre, the Belasco, and, most notably, the Broadway Theatre that has been standing since 1924. The world’s most famous plays, and most notable actors have all starred on Broadway, and it’s a must-see location for lovers of the theatre. It’s worth checking the current listings to see who’s there, but you can be sure that whoever it is, they’ll be actors of the highest quality, and plays that you’ll remember for a lifetime. A lot has changed at Times Square since the 1970s. You won’t find any Ratso Rizzo type characters banging on taxi hoods and yelling, “I’m walkin’ here!” The most dangerous character you’ll find there these days is a guy dressed up as Elmo who has low-blood sugar. Apart from that, these days, Times Square is a hustling, busting tourist destination and entertainment district. Heck, Times Square even has its own Twitter account! Often referred to as “The Crossroads of the World,” it’s a fitting moniker for a district in an city that likes to refer to itself as The Greatest City in the World. 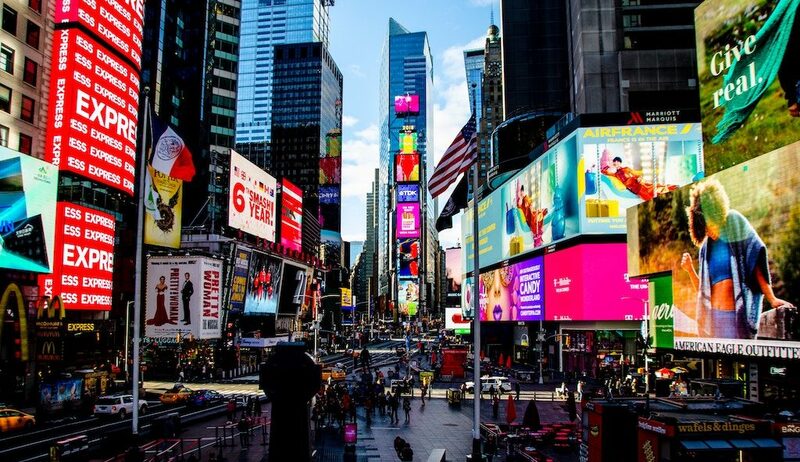 These days, Times Square boasts around 50 million visitors a year, and more than 300,000 people stroll through the area on a daily basis. The pedestrian plaza makes it easy to walk around and take in the sights, with ample shopping and entertainment for everyone. Don’t forget to get a picture of the Coca-Cola sign, take the kids into the Disney Store, and check out a show at the PlayStation Theater. There’s lots to do for you and your group, all made much simpler when you charter a bus to get you all there safely and soundly. 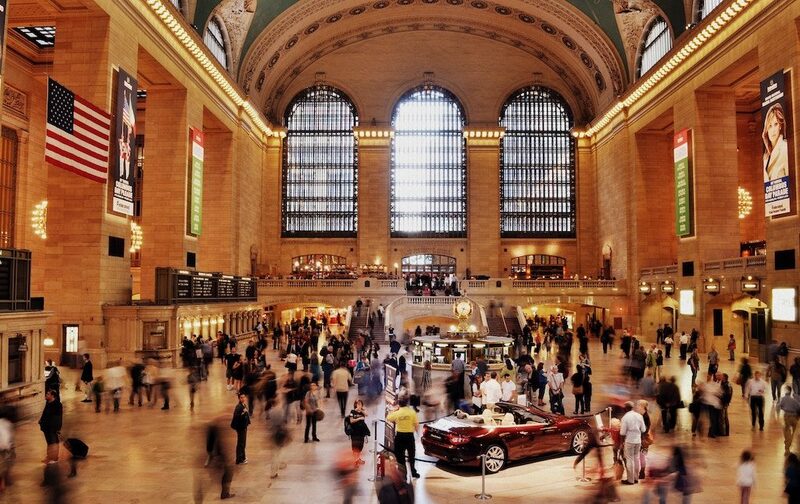 Grand Central Terminal is more than a commuter rail terminal used by thousands of people every day. It’s also one of the world’s most famous and most often visited tourist locations, hosting more than 20 million visitors in 2013 alone. And if you’d like to be one of those visitors, a great way for you and your group to get there and back is to charter a bus to make sure you can get the most out of your visit. Since 1913, Grand Central Terminal has served the city of New York, acting as a station for intercity and commuter trains. The entire operation covers more than 48 acres, and boasts the most platforms of any railroad station in the world, with 44 platforms and an astounding 67 tracks. The main concourse is immediately recognizable, as its been featured in TV and movies over the last century. An ornately designed barrel-vaulted ceiling decorated with a mural of constellations adorns the top of the station, while chandeliers and arched windows light up the concourse. There are many rooms to explore, and passageways which house shopping of all kinds, including the Grand Central Market. A great way to see a bit of history and experience the real New York City! New York is rich with culture, and has some of the most amazing art galleries in the entire world. There’s so much to do and see for those who love arts and culture, that you’ll have a hard time getting it all done in a short trip. So make sure to keep coming back to New York for more! Would you like to be one of the almost 3 million yearly visitors to the Museum of Modern Art in NYC? Well, get your tour group together and put them on a charter bus, and see one of the most amazing collections of modern art in the entire world. 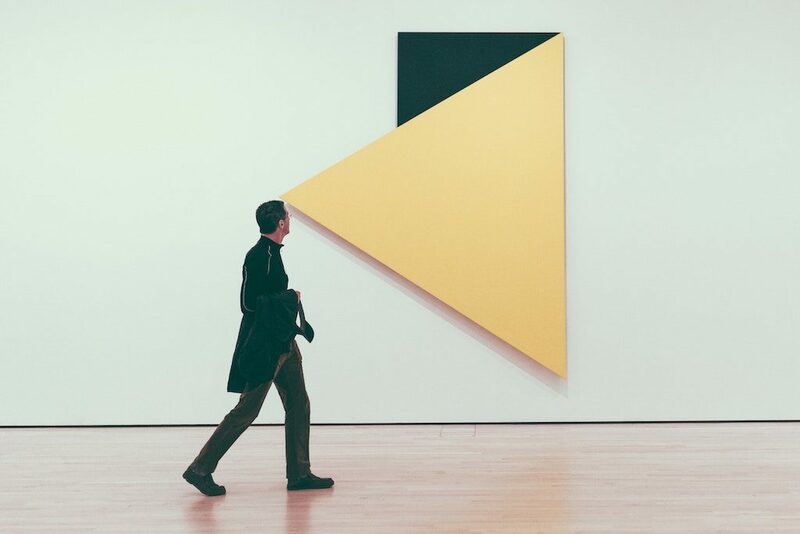 At MoMA, you’ll find the best in architecture, design, painting, sculpture, photos, and a lot more. The museum first opened in 1929 in modest surroundings in the Heckscher Building on Fifth Avenue. The brainchild of Abby Rockefeller, and her friends Lillie P. Bliss and Mary Quinn Sullivan, it was the first American museum to display only modern art. From those original six rooms of galleries, it has grown into one of the largest and most popular collections of modern art in the world, spanning several buildings, and multiple galleries. You’ll find art by Frida Kahlo, Henri Matisse, Jackson Pollock, Vincent van Gogh, and Andy Warhol, to name just a very few of the world-renowned artists whose work you’ll get to see while there. Don’t forget to stop at the gift shop! Ready to visit the largest museum in the entirety of the United States? Well, hop on a bus with your group and get on down to the Metropolitan Museum! There are three buildings that comprise the museum, the largest of which is located right next to Central Park in the Upper East Side of Manhattan, with two others located nearby, making it the perfect reason to rent a bus to get from location to location. You’ll find collections from all over the world here. Near Eastern artifacts from the Bronze Age, South American objects, and articles of interest from Australia that date back 40,000 years. You’ll also find a great collection of American art, including the famous painting of Washington Crossing the Delaware by Emanuel Leutze. And more than that, there’s a treasure trove of musical instruments from many periods throughout history, more than 25,000 photographs, and modern and contemporary art from all over the world. What do Kelsey Grammer, Oscar Isaac, Robin Williams, Val Kilmer, and Laura Linney all have in common? They’re all graduates of the esteemed Juilliard School, most commonly referred to as Juilliard. Since 1905, this acting school has been training a select group of the finest actors from around the world in dance, drama, and music. The school is located in the Lincoln Center for Performing Arts. You can get a tour of the campus from Monday to Friday. Make sure that you book at least two weeks in advance, as the tours are quite popular. You’ll get an insider’s look at the classrooms, see where the students practice, and get a look at the performance spaces inside the school. You can also choose whether you’d like your tour to focus on the drama or dance divisions at the school. With special tours available to groups of 10-30 people, it’s a great reason to charter a bus to get your students or other interested group to the school to take a tour, and with so much more in the vicinity, it’s bound to be an amazing day! If you can make it at a New York university, you can make it anywhere! New York is home to some of the finest educational facilities in the world. If you’re looking for a place to learn from the best, these ones are a great start. New York University was founded in 1831 and has its main campus located in the Greenwich Village area of Manhattan. What’s interesting about NYU is that it’s not just a New York University. In fact, there are campuses in Abu Dhabi and Shanghai, and has a total of 12 other academic centers around the world. Over the years, some of the most renowned scientists, businesspersons, and academic minds have gone to NYU. Some of the notable alumni include James Wood, the inventor of the cable-lift elevator; Henry C. Goldmark, who designed the Panama Canal locks; the Pulitzer Prize winning author Frank McCourt; and even NHL commissioner Gary Bettman. Tours are available to prospective students and other interested parties. If you’re taking a group from a school, a chartered bus is the best way to get there, as parking can be limited. You’ll be shown around the campus by student ambassadors, and you’ll get to see all that this prestigious university has to offer. One of the oldest universities in the United States, Columbia University is a private Ivy League school that has been in operation since before the Declaration of Independence was written. And while that’s remarkable, what’s more amazing is that it is consistently ranked as one of the top ten universities in the world, which is no mean feat. The first classes were held in 1754, when it was known as King’s College. The name of the university was changed, for obvious reasons, after the American Revolutionary War. Since then, the school has grown to include several campuses and colleges for doctors, lawyers, engineers, architects, teachers, journalists, and many more higher-learning tracks. Students who wish to attend Columbia University can get guided tours, and you can even take your middle school or elementary school group to give them an intro to campus life. Make sure to book a bus to get them all there and back safe and sound. New York is home to some of the world’s best, and most famous sports teams in the entire world. You can’t visit the city without taking in a game and seeing the world-class stadiums that house those teams. Just outside of NYC in East Rutherford, New Jersey, stands the MetLife Stadium, home of both the New York Giants, and the New York Jets of the National Football League. The building of the stadium was a joint venture between the two clubs, whose stadiums had both seen better days. With a capacity of more than 82,000, it’s a massive building that was also meant to be the main stadium when New York put in a bid for the 2012 Summer Olympics. When you’re going to the big game, or checking out a show, make sure to book a chartered bus and avoid the uncommon amounts of traffic you’ll find on game day. When you’re ready to get taken out to the ball game, get your friends together and hop on a chartered tour bus and head to the world-famous Yankee Stadium, home of one of the most-beloved, and most-despised team in all of professional sports: the New York Yankees. 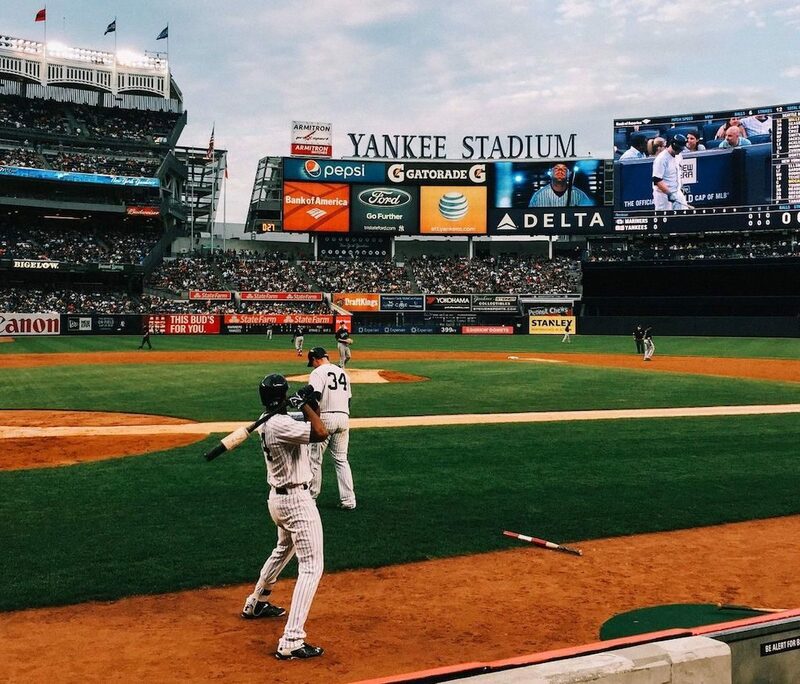 A new stadium was built in the Bronx in 2009, to replace the previous stadium that was known as “The House that Ruth Built,” the new stadium is sometimes colloquially known as “The House that Jeter Built,” in honor of long-time Yankee, Derek Jeter. While you’re there, you’ll see many New York celebrities, including actor Billy Crystal, and former mayor and now lawyer, Rudy Giuliani. The name Madison Square Garden has been used by no fewer than four locations, including the current one, which opened in 1968. The first one had no roof. This current building features all of the amenities of the modern world, and is home to the New York Rangers and the New York Knicks. From sports to wrestling, and from concerts to any number of different entertainers, the Garden is both a world-famous, and a world-class venue. In fact, when Elvis Presley played his only show in NYC, he did so in Madison Square Garden. Where else? It can be difficult to get to the Garden, so make sure to book a tour bus for you and your friends and get the most out of your evening! Home of the New York Mets, Citi Field is located in the New York City borough of Queens. It was built right across the street from their former home of Shea Stadium. It’s a 45,000 plus person capacity stadium, with bars, restaurants, and a lot more than just baseball going for it! Inside the stadium, you’ll find the Mets Hall of Fame & Museum, where you can relive all your favorite moments and see displays and memorabilia from the organization’s storied history. You’ll also get to see the Jackie Robinson Rotunda, named for Jackie Robinson, the first African-American Major League Baseball player. 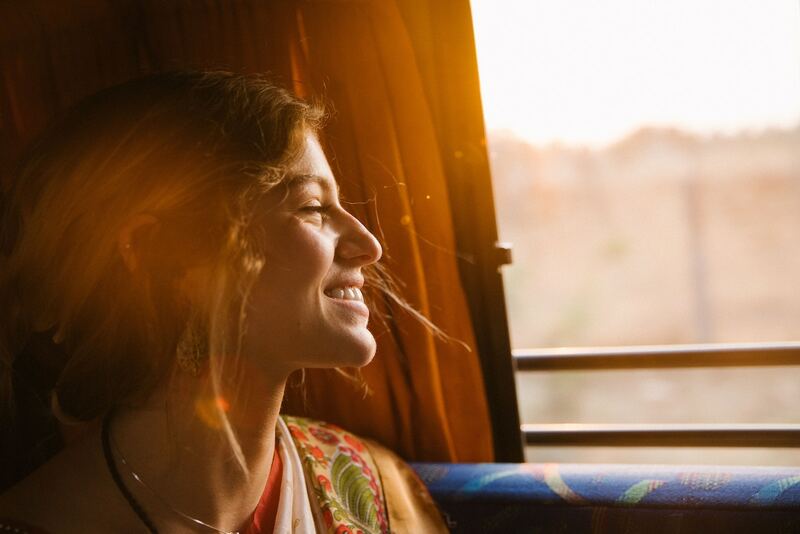 Beat the traffic and the summer heat with an air-conditioned chartered bus for you and your group and make your trip to Citi Field one to remember. The only drawback to visiting NYC is the traffic. Trust your trip to the professionals and charter a tour bus for your group trip to New York. Cabs are expensive, and the subway can be confusing, even for locals. So don’t see the traffic—see the sites. Mark John is a writer who travels as often as his wallet will allow him. His favorite places are Dublin, Havana, and his home city of Montreal. He is loathe to discuss himself in the third person, but can be persuaded to do so, from time to time.